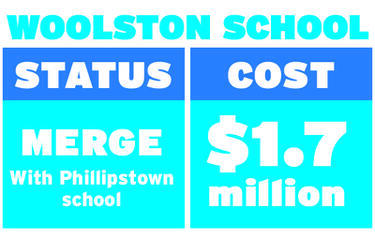 A graphic giving the status of Woolston School. 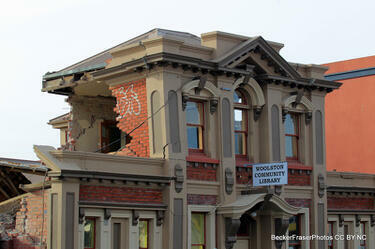 Damage to the Woolston Community Library. 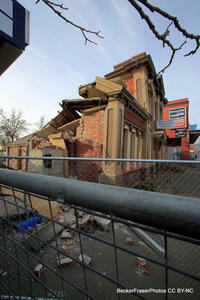 Part of the roof has collapsed inwards, and the facade is badly cracked. 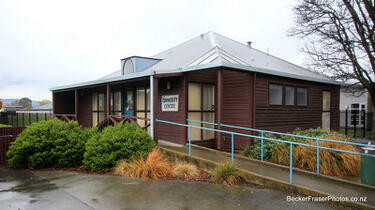 Photograph captioned by BeckerFraserPhotos, "538 Ferry Road - Woolston Lodge". 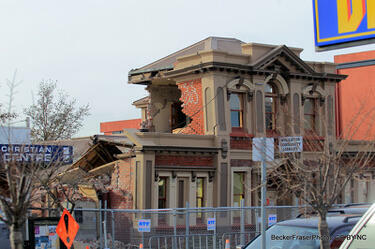 Photograph captioned by BeckerFraserPhotos, "689 Ferry Road - demolition site of Woolston Community Library". 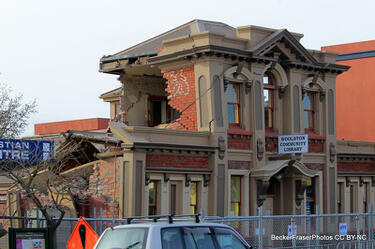 Photograph captioned by BeckerFraserPhotos, "Woolston School, Hopkins Street". 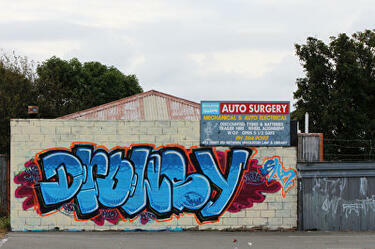 A photograph of street art in the SuperValue car park in Woolston. 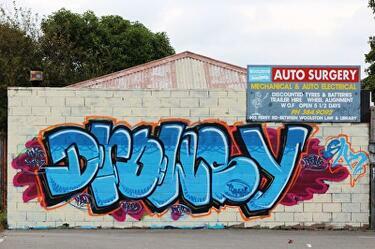 The tag reads "Drowsy", and the photographer notes that the artwork was created following a fatality. A video of Principal Toni Simpson telling the students and teachers of Phillipstown School about the plan to merge their school with Woolston School. 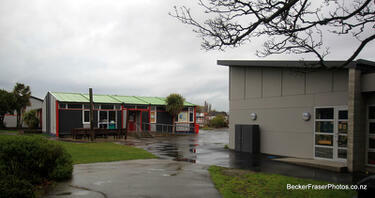 Phillipstown is one of twelve schools which is set to merge in the Education Renewal Recovery Programme. 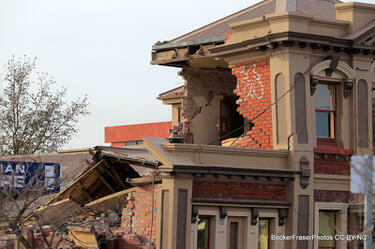 The programme was created by the Minister of Education in the wake of the 2010 and 2011 Canterbury earthquakes. 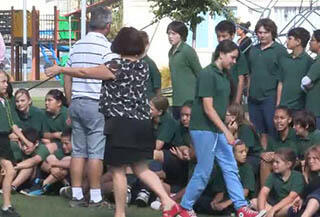 A video of a protest against the merging of Phillipstown and Woolston Schools. Staff and students from Phillipstown School lead a march down Ferry Road to highlight the dangers children will face walking to school if Phillipstown is closed. 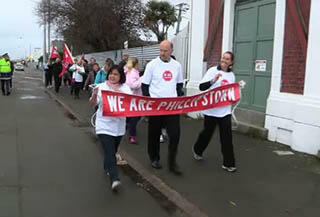 The video also includes interviews with Phillipstown Principal Tony Simpson and Christchurch City Councillors Peter Beck and Makere Hubbard, about the protest and the merger. 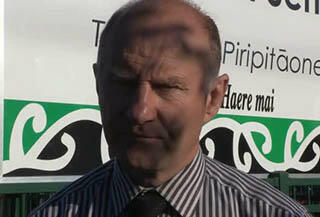 A video of an interview with Phillipstown Principal Toni Simpson about the Ministry of Education's plans to merge his school with Woolston Intermediate. The video was recorded hours before Education Minister Hekia Parata made her announcement about the Ministry's decisions. Simpson talks about his belief in the school, his frustration over the Ministry's decision process, and the loss to the community if the merge takes place. 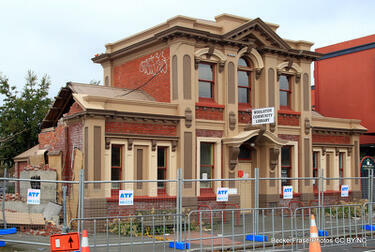 A PDF copy of pages 248-249 of the book Christchurch: The Transitional City Pt IV. 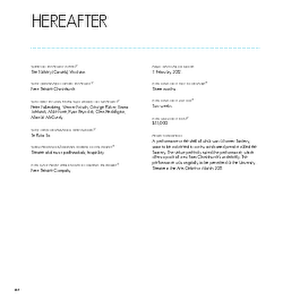 The pages document the transitional project 'Hereafter'. 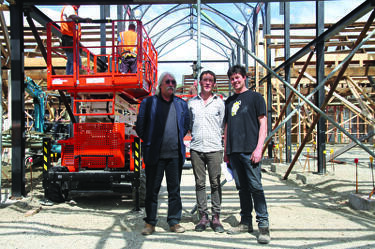 A photograph of Alasdiar Cassels, Zak Cassels, and Joseph Shanks on the building site for The Tannery. 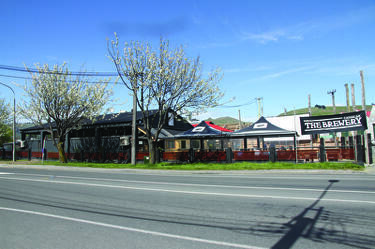 A photograph of The Brewery on Garlands Road. 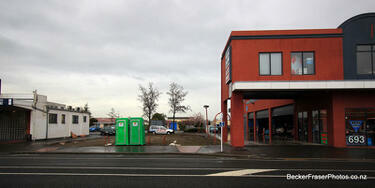 A PDF copy of pages 90-91 of the book Christchurch: The Transitional City Pt IV. 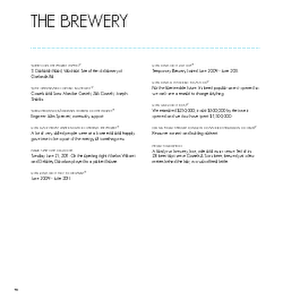 The pages document the transitional project 'The Brewery'. Interior photo provided by The Brewery. Exterior photo: Tessa Peach.